Wat Bang Riang situated on Khao Lan Hill in Tambon Bang Riang, 11 kilometres from the Thap Put District office on Phetkasem Road : Phang Nga, Thailand. This temple contains several structures including an elaborate bell-shaped pagoda called Chedi Phutthathambanlue. 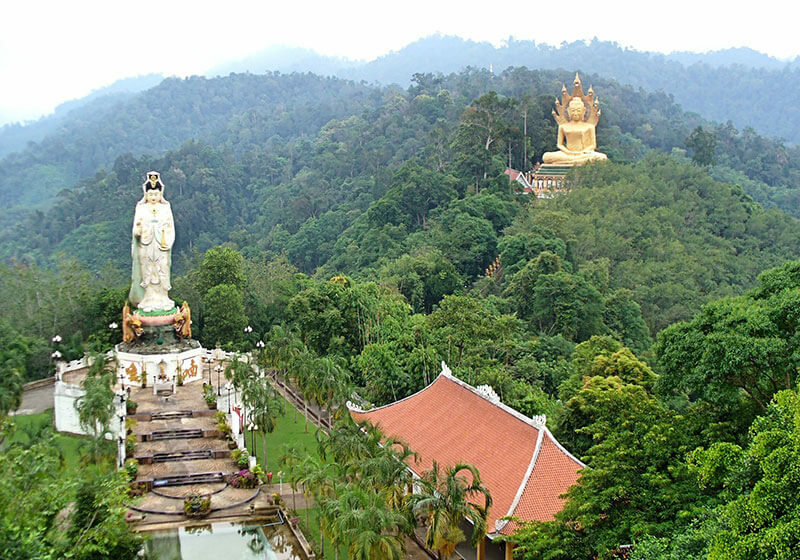 The hilltop pagoda overlooks surrounding undulating mountains and hills as well as a huge Buddha image and a Guan-yin Chinese GoddessStatue.